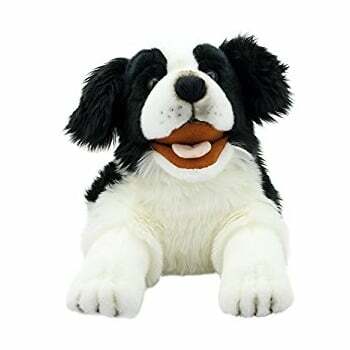 This puppy lays like a soft toy, but access under the tummy to the head and mouth give added value for them to perform like a puppet. 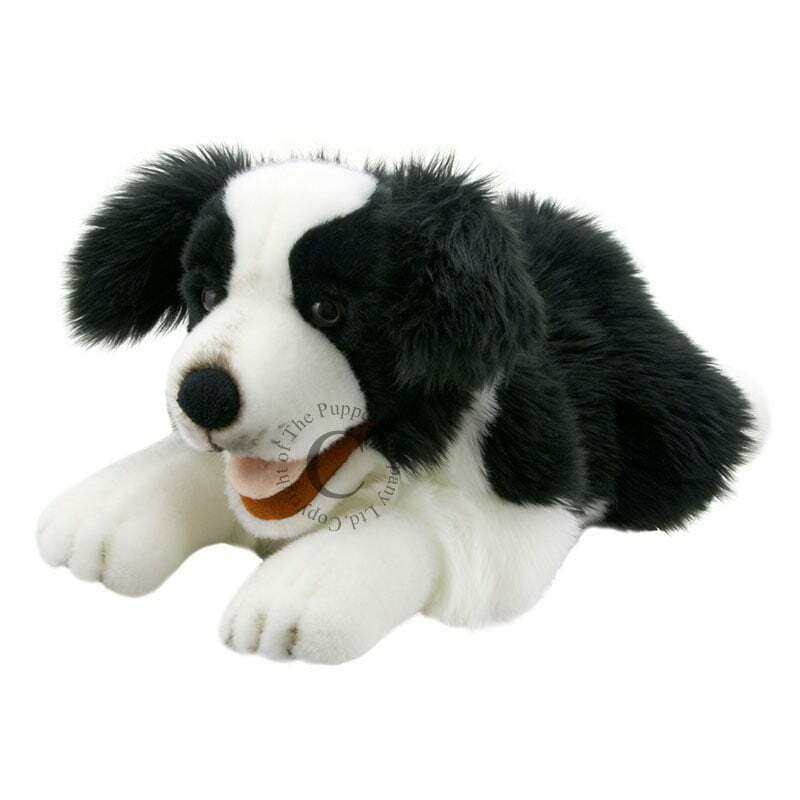 If you cross your arms whilst using this puppet you can make it's tail wag using your free hand! 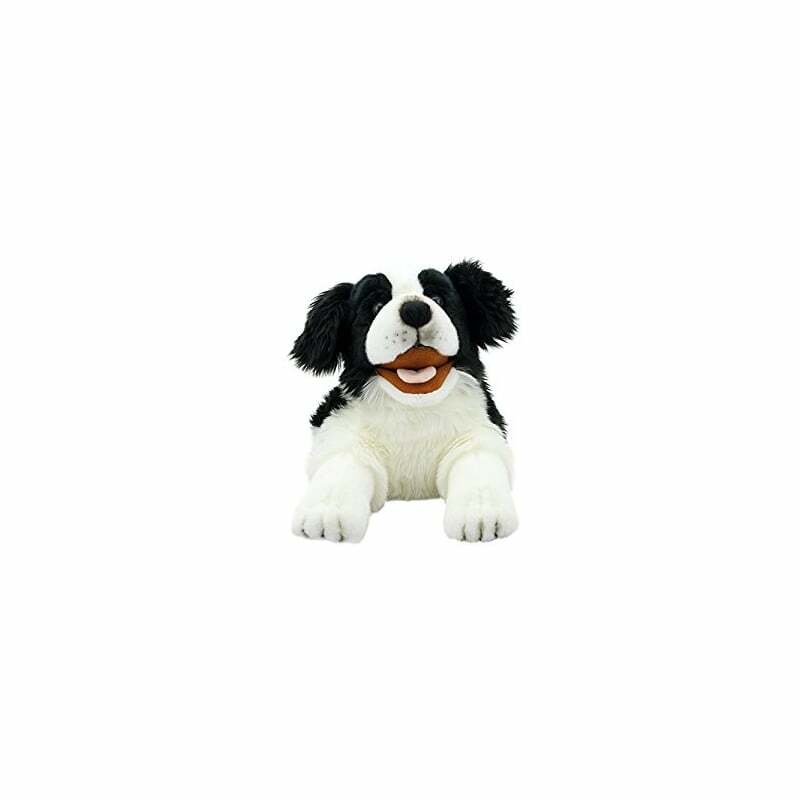 Soft material, life-like and cute, this puppy would make a perfect gift.